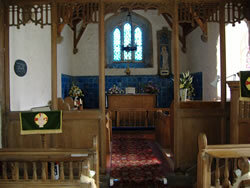 Information and images of churches and chapels may also be found in the Five Towns and Places menus under the Main Menu. 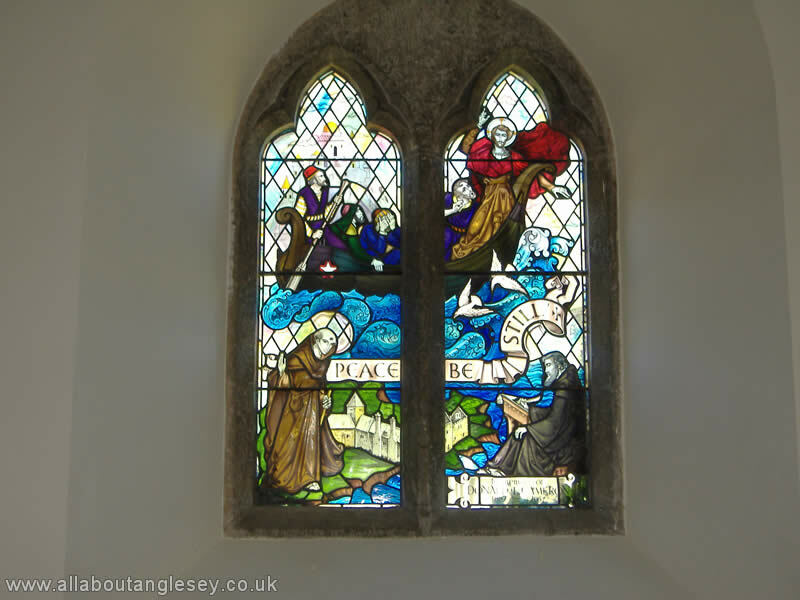 St Mary and St Nicholas (Santes Fair a Sant Nicolas), Beaumaris. 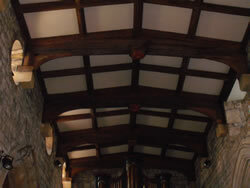 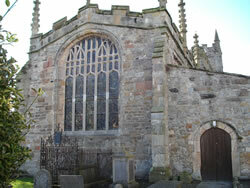 This is a Grade 1 listed building, dating from the thirteenth century. The tower is of more recent construction (seventeenth century) and is topped by a fish shaped weathervane. The walls around the churchyard date back to Roman times. 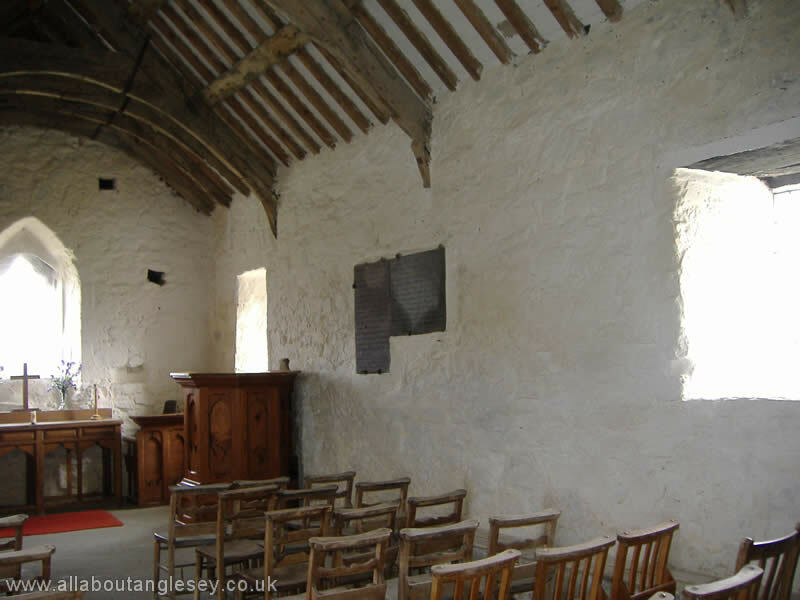 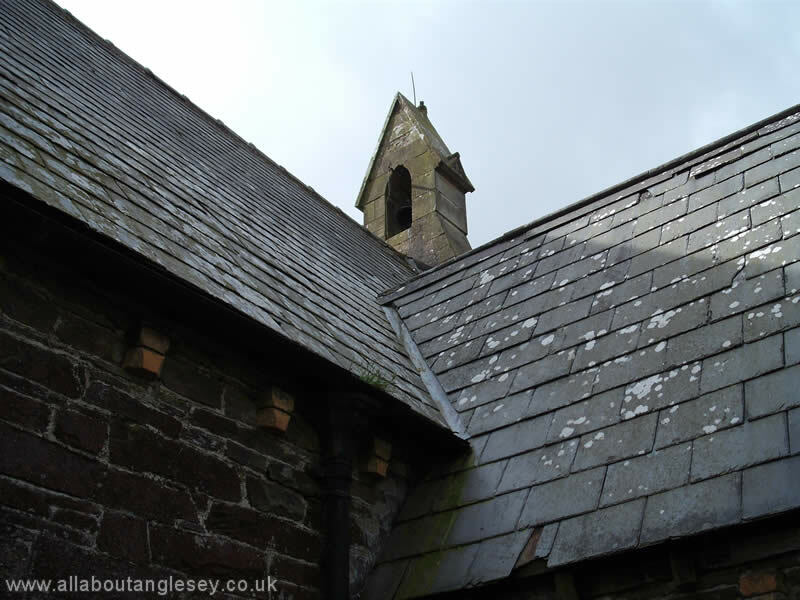 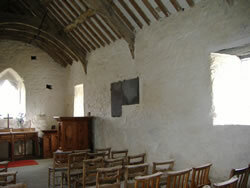 An abandoned medieval church, near Gaerwen, dedicated to St Michael. 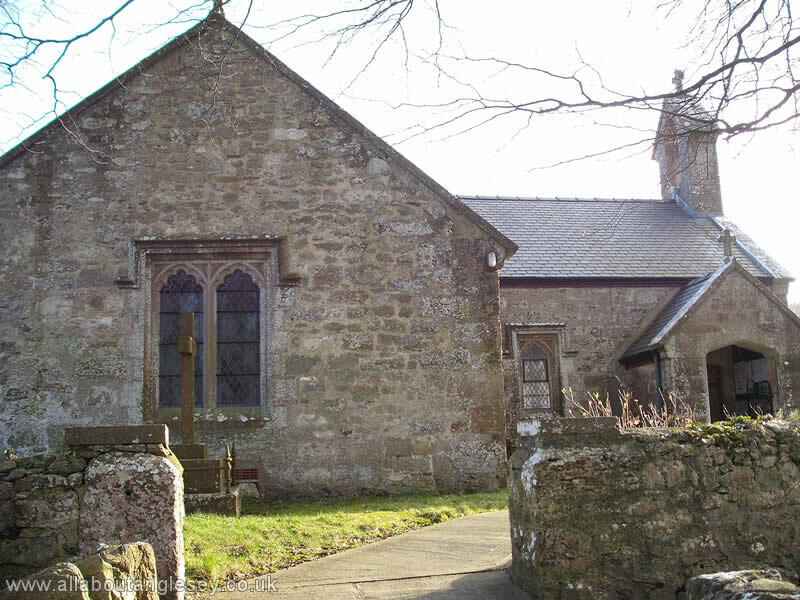 This has been an ecclesiastical site for more than 1,000 years, although the present church dates from the fifteenth century. 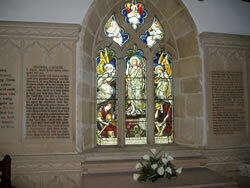 At the time of the Royal Charter disaster, the bodies were brought to the church, pending identification by relatives. 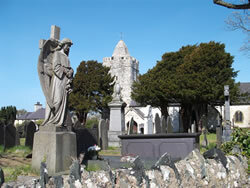 There is a memorial obelisk in the cemetery, as well as an anchor from the ship itself. 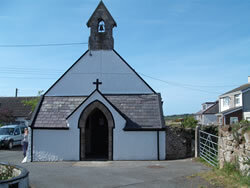 Llanbadrig lies on the north coast, a short distance from the resort of Cemaes. This was said to have been founded by Saint Patrick in thanksgiving for his deliverance from a shipwreck. 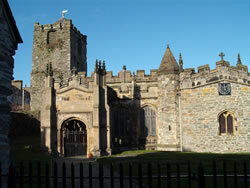 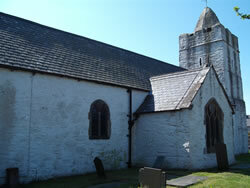 Nothing survives of that church, although the present structure dates back to the 14th century. 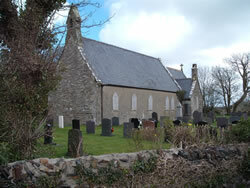 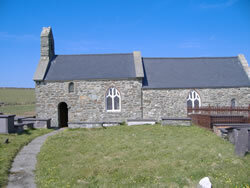 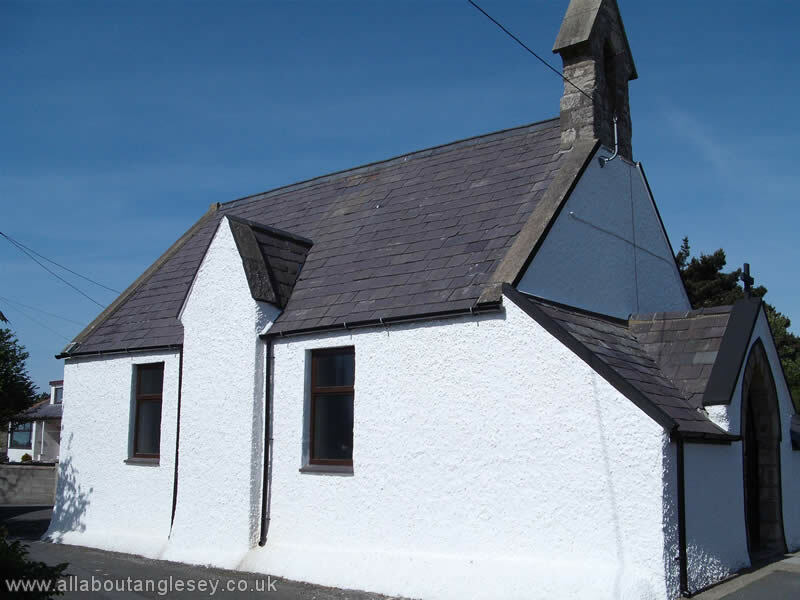 Llanbadrig Church is sited on the edge of cliffs leading down to the Irish Sea. One unusual feature of the church is the Islamic influence in the stained glass. 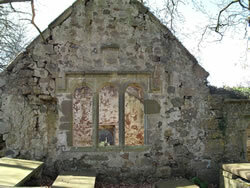 This is a consequence of the restoration of the church in the nineteenth century by Lord Stanley, who was a Muslim. 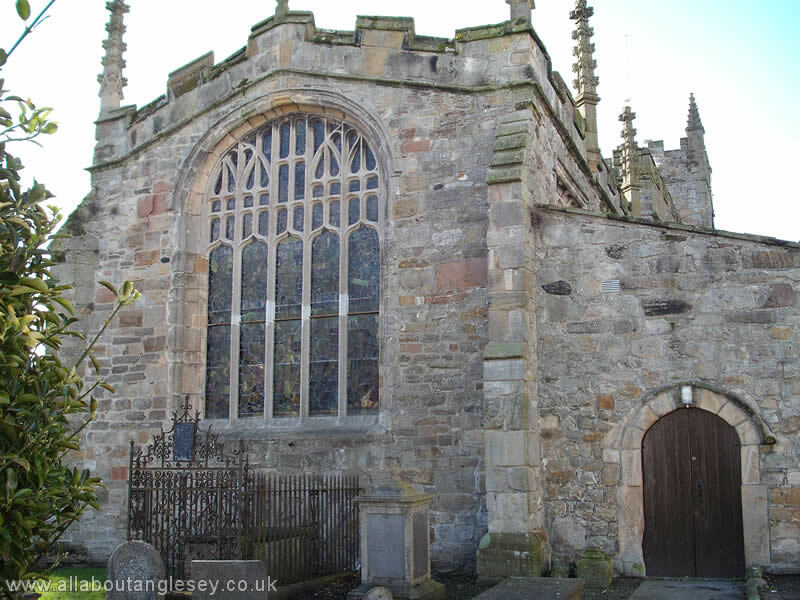 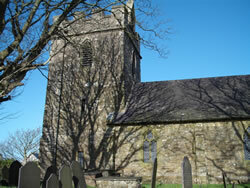 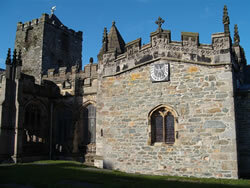 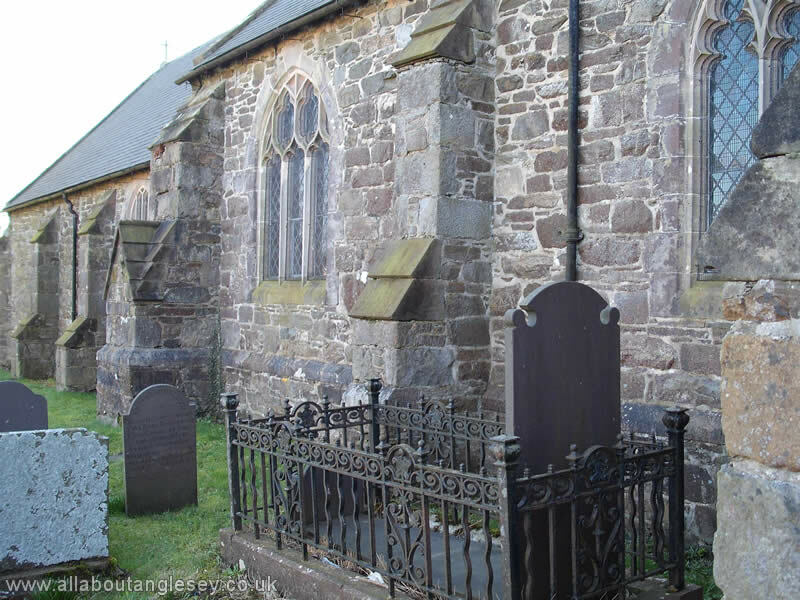 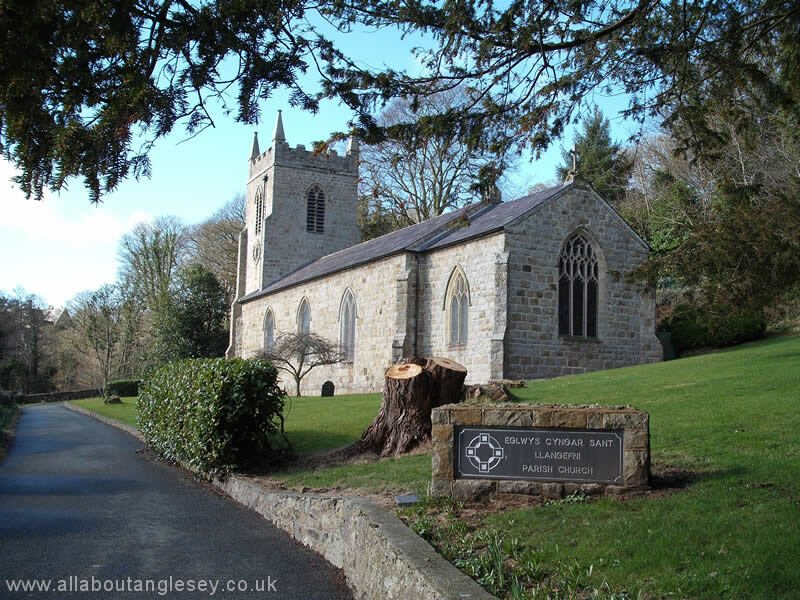 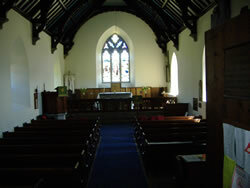 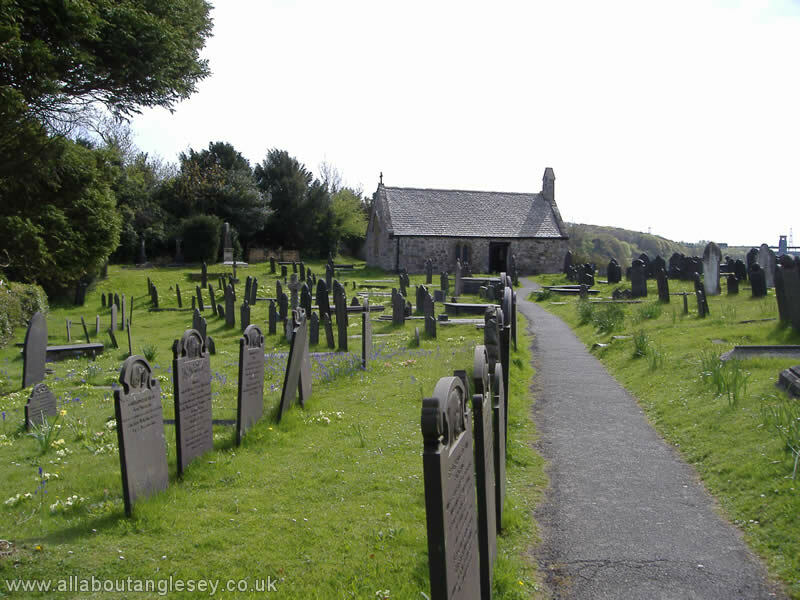 The parish church of Llannerch-y-medd, most of which dates from a reconstruction in the 1840's. 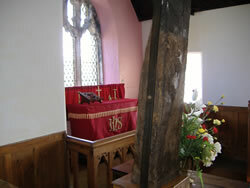 The sturdy lychgate is dated 1755. 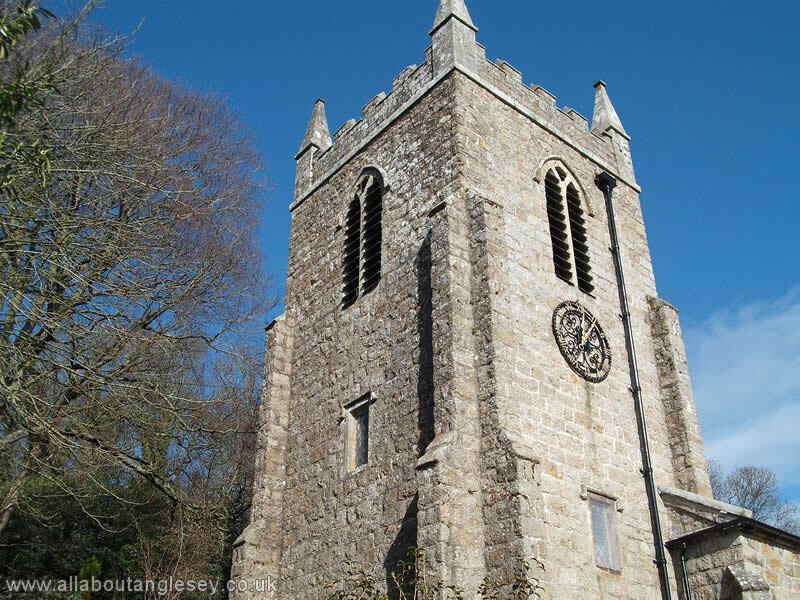 The unusual tower is said to be because a neighbouring landowner objected to the vibration of the church bells as it spoilt 'the brewing of his ale'. 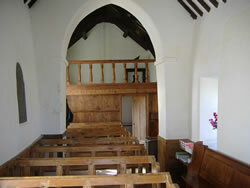 Another account was that the construction was to reduce the noise level from the bells. 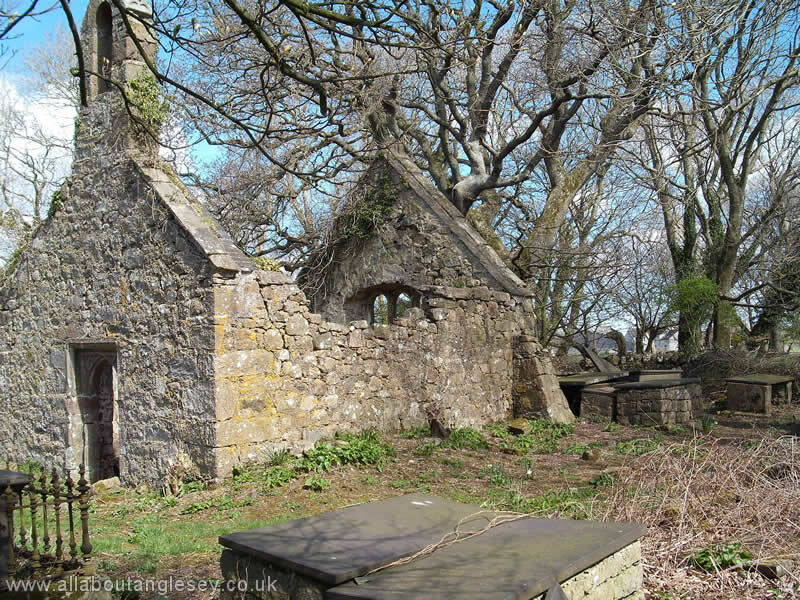 Set on the edge of the woodland forming part of the Dingle, the present structure is a reconstruction dating from 1824, with later additions. 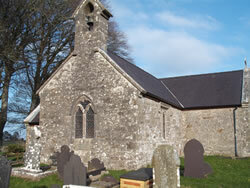 The Church of St Rhwydrys, dating in part from the twelfth century. The roof is supported on cruck timbers. 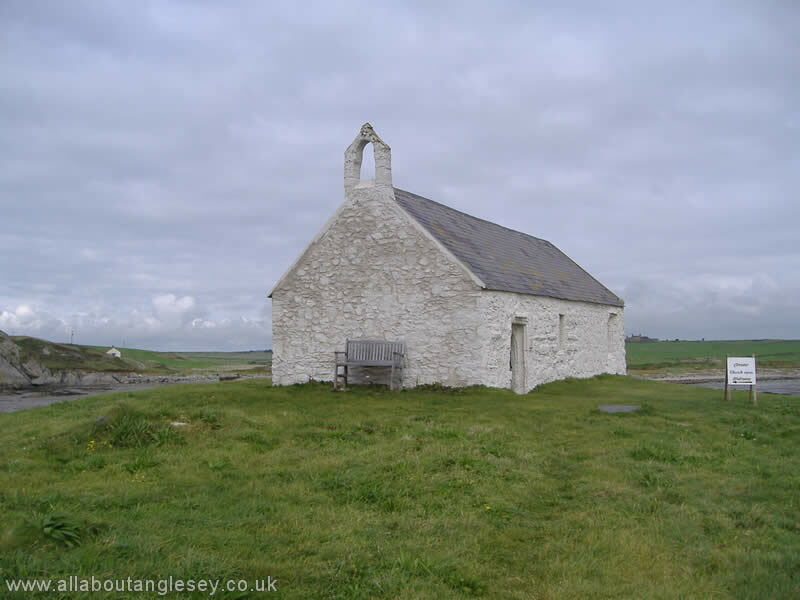 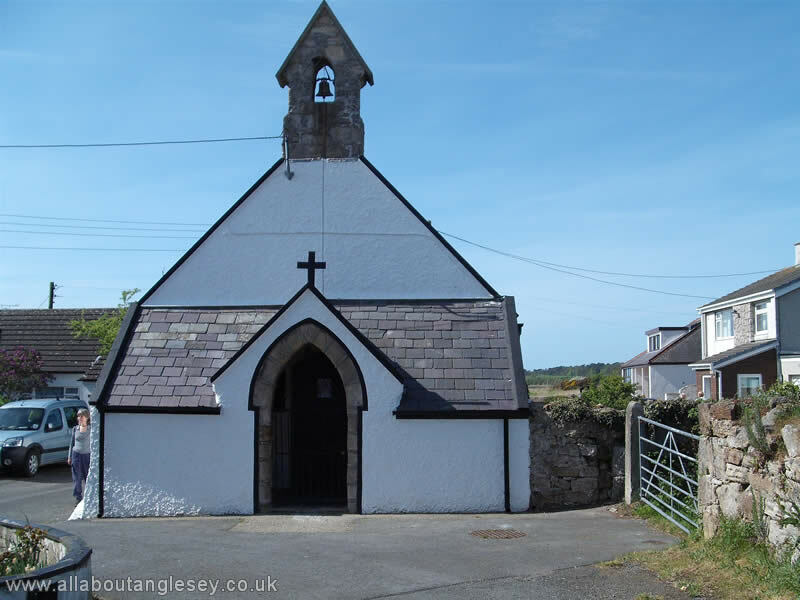 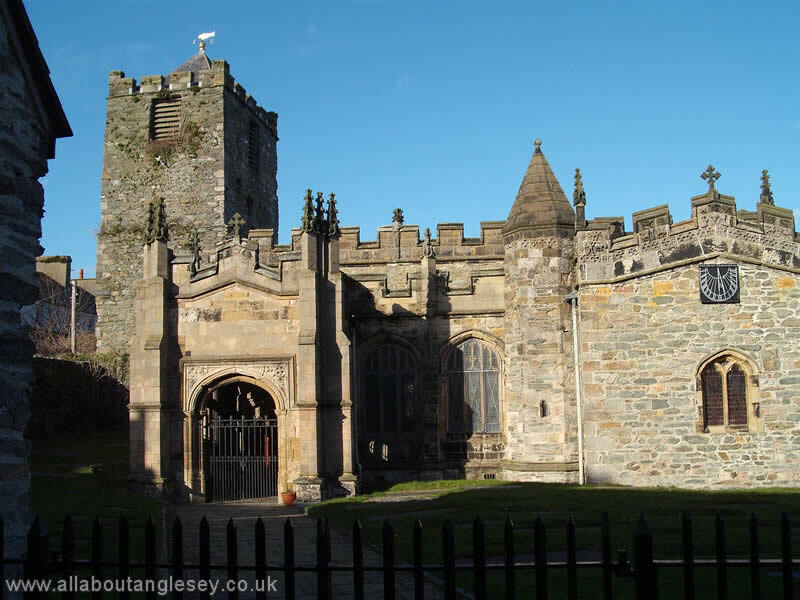 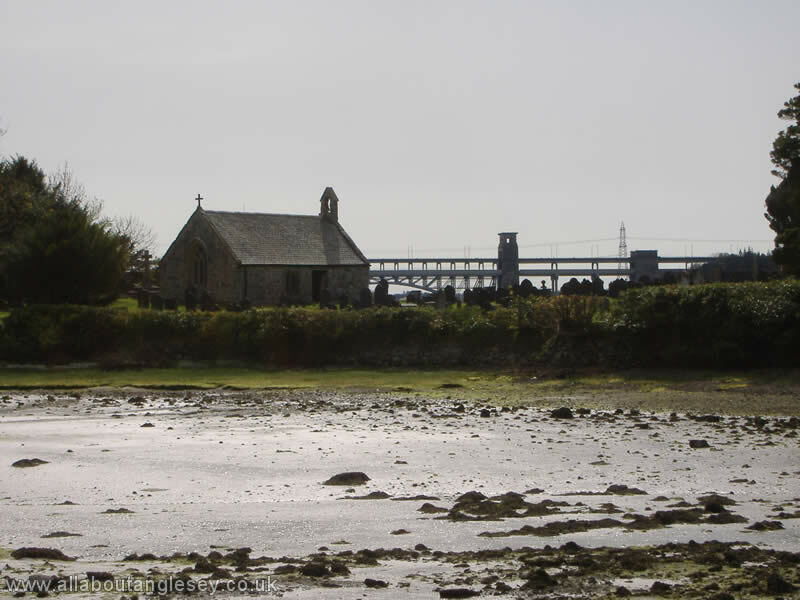 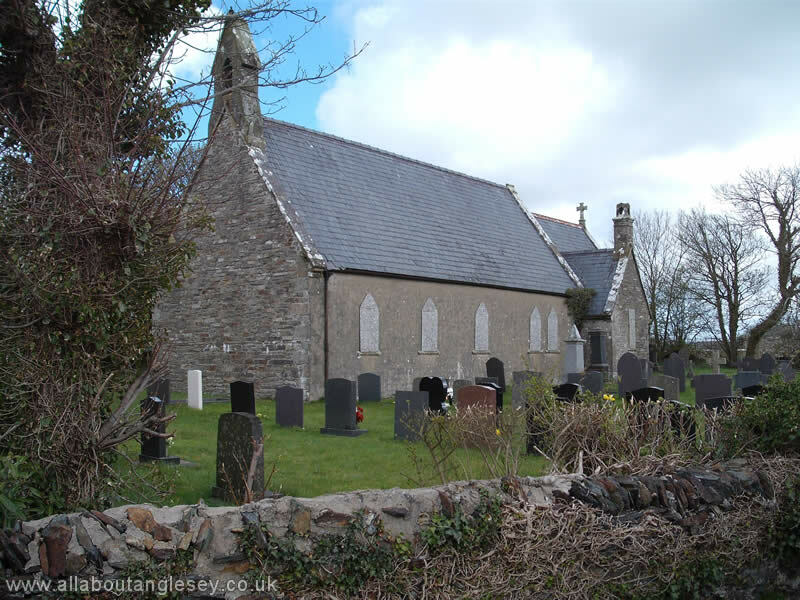 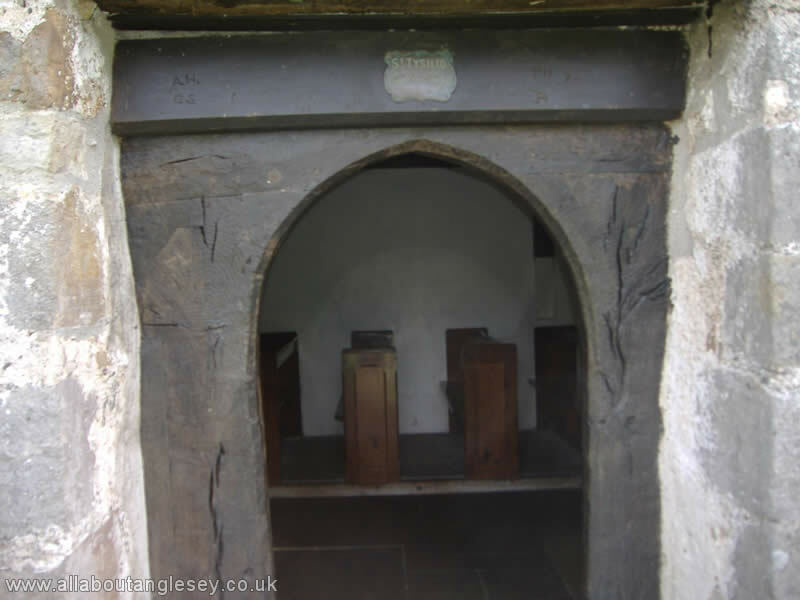 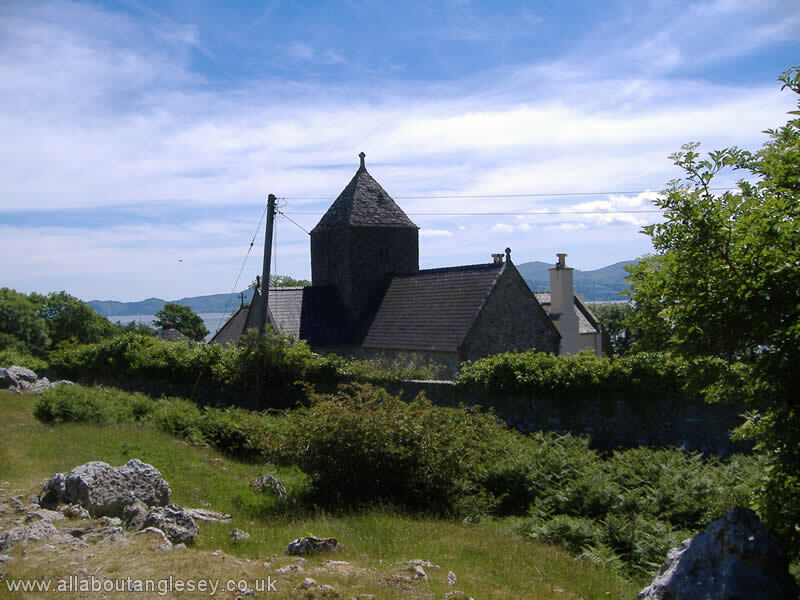 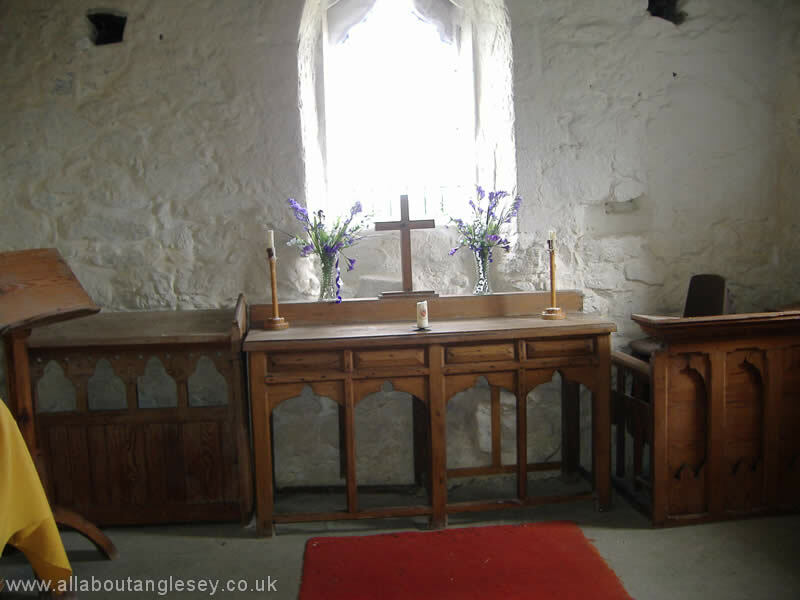 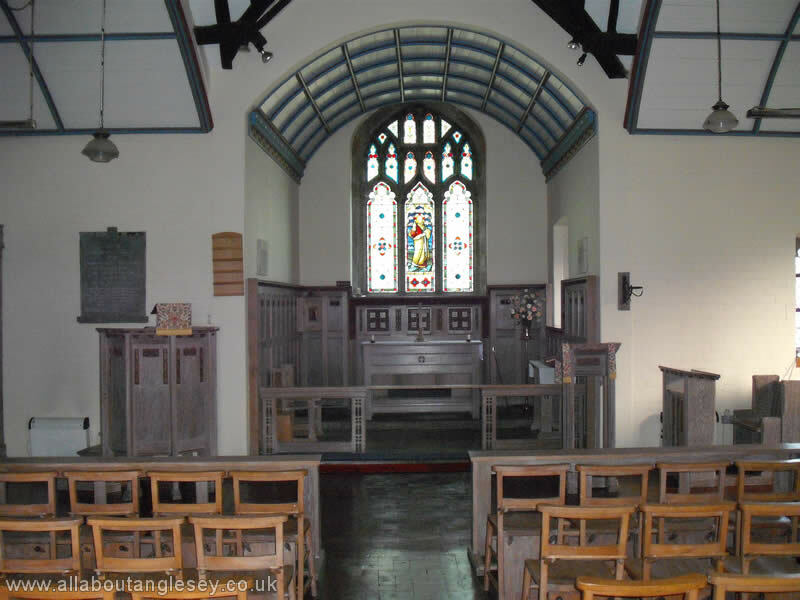 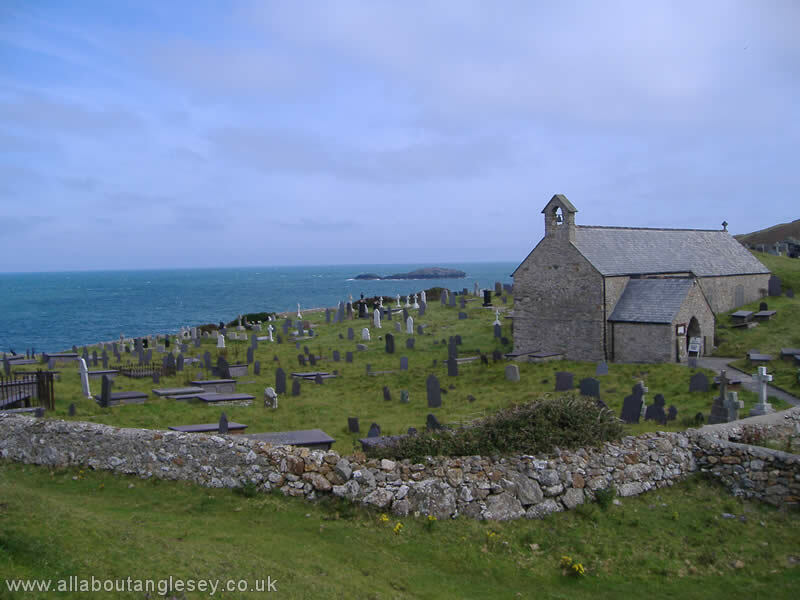 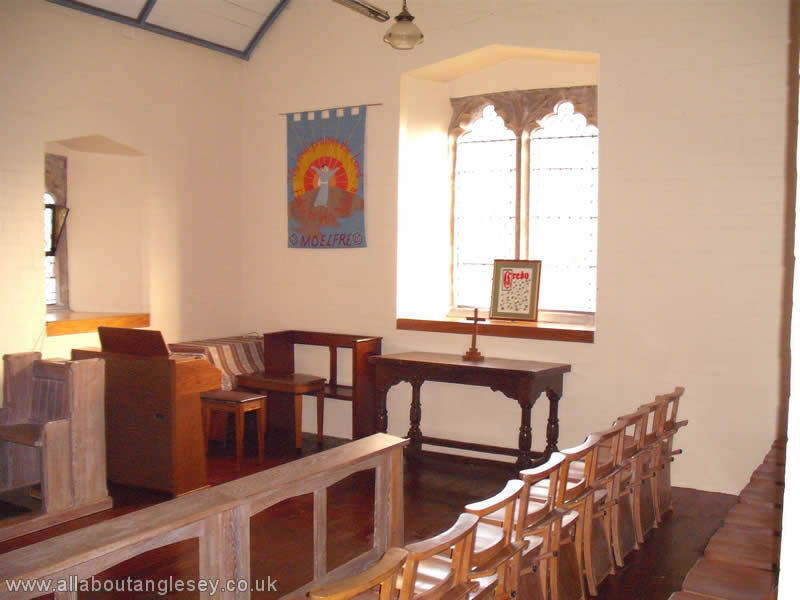 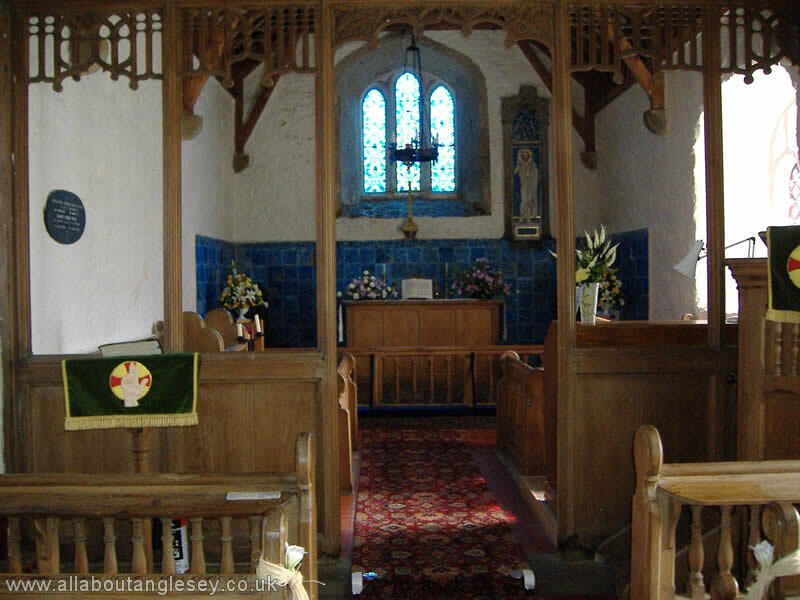 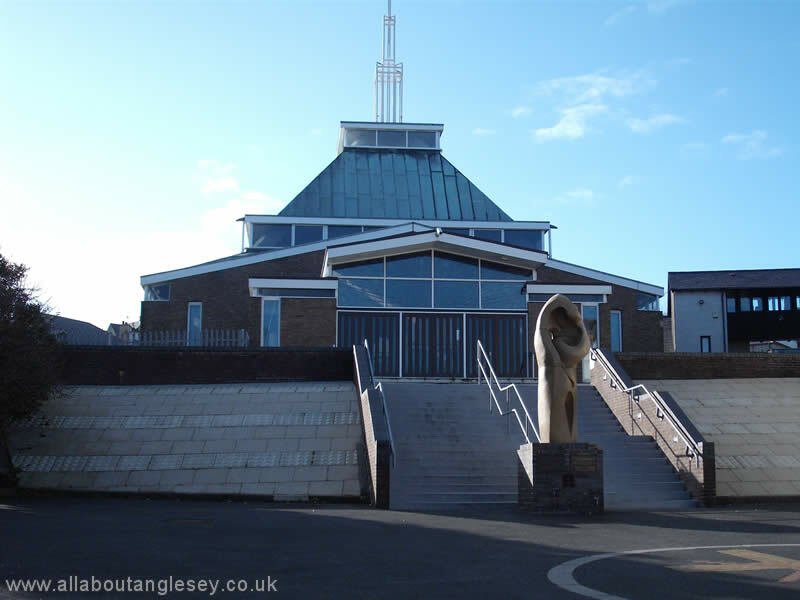 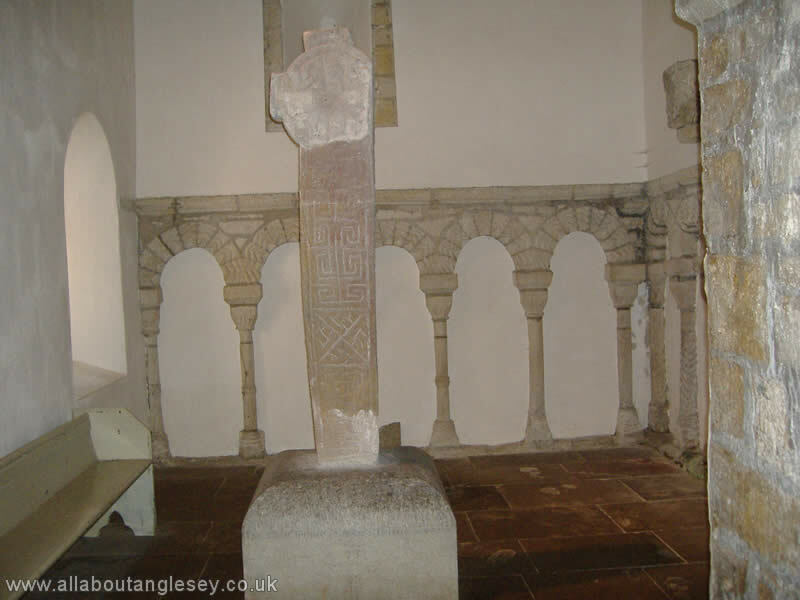 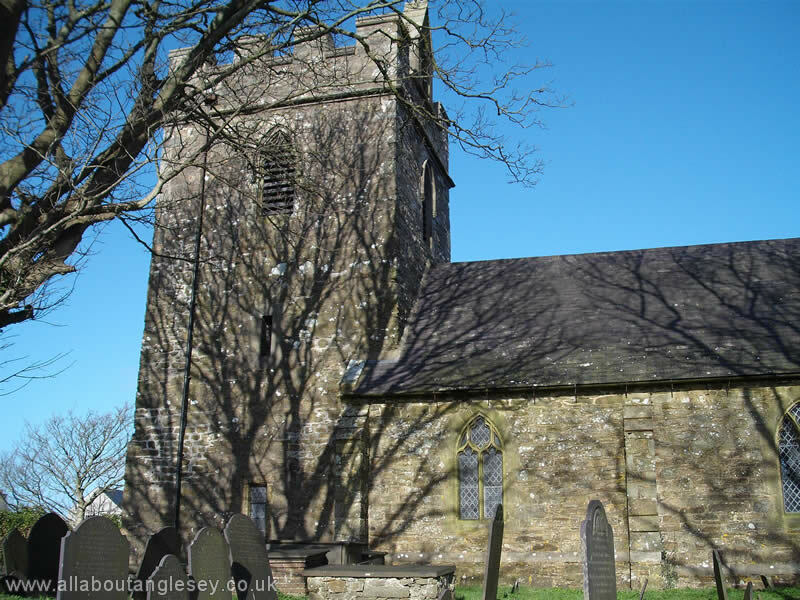 A walk along the Belgian Promenade, or through the woodland known as Coed Cyrnol, and across the causeway leads to Church Island, or Ynys Tysilio, and the church dedicated to Saint Tysilio. 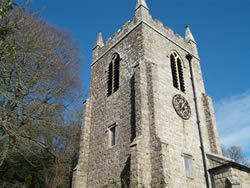 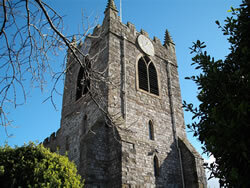 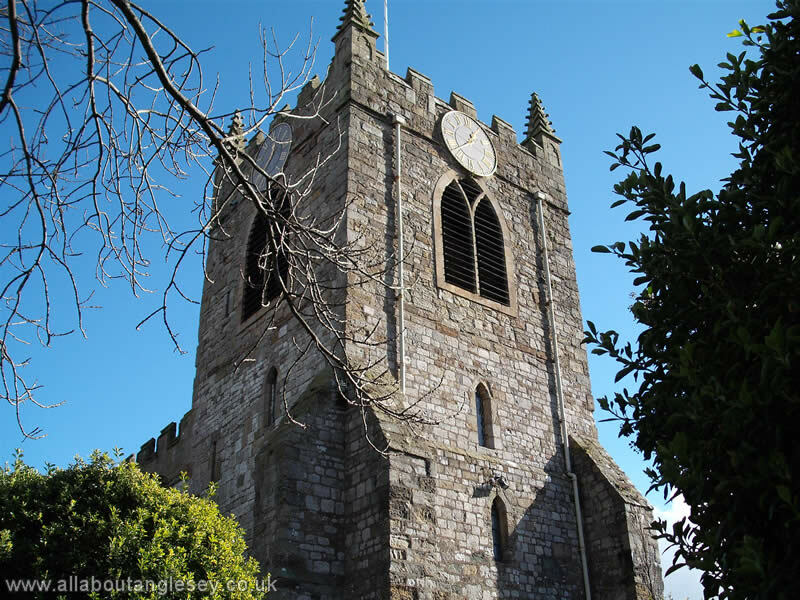 The church is built of limestone rubble and dates from the fourteenth century. 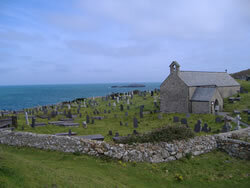 The circular path circles the cemetery, and skirts the island. 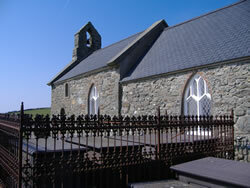 There are some notable grave memorials, many carved in Welsh slate. 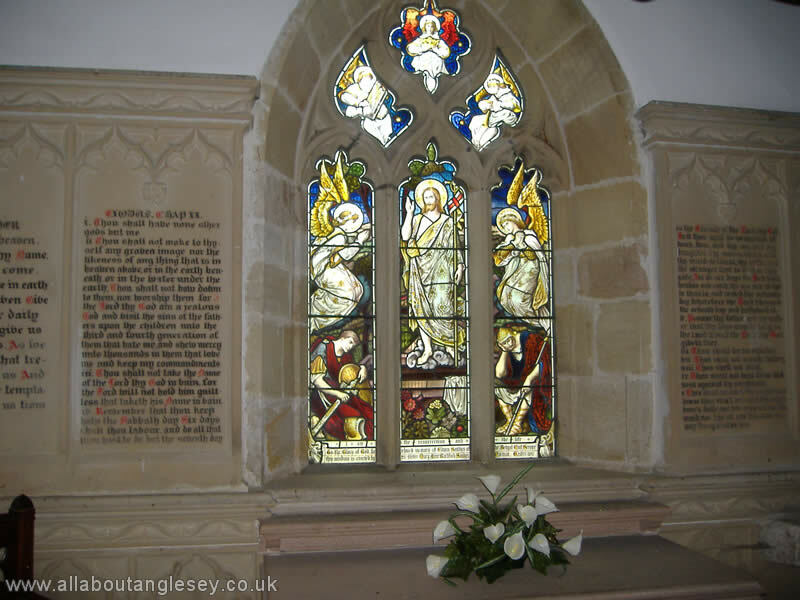 Victorian statuary is also in evidence. 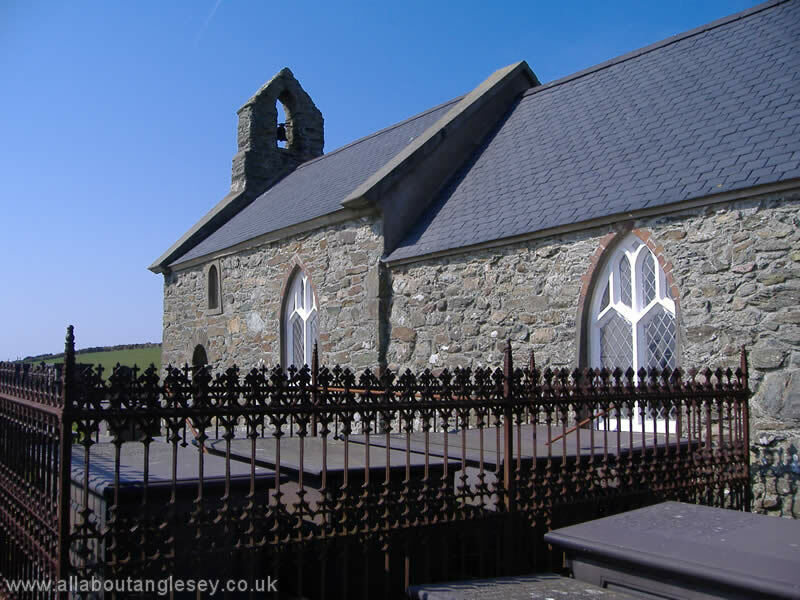 The memorial on the highest point of Ynys Tysilio commemorates the dead of the two world wars. 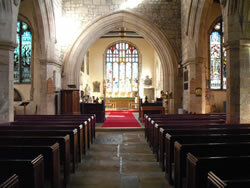 This has been an ecclesiastical site since the seventh century. 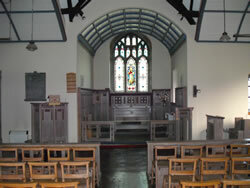 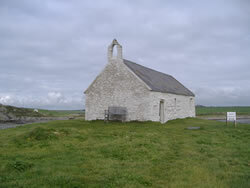 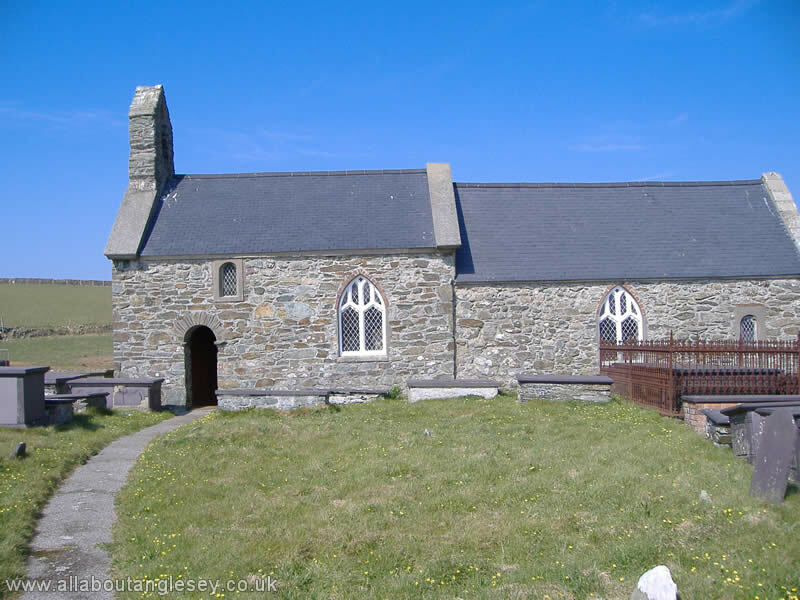 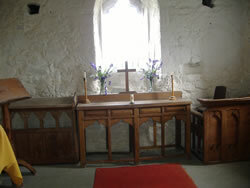 The current church dates from the eleventh century, and was originally part of the mainland. 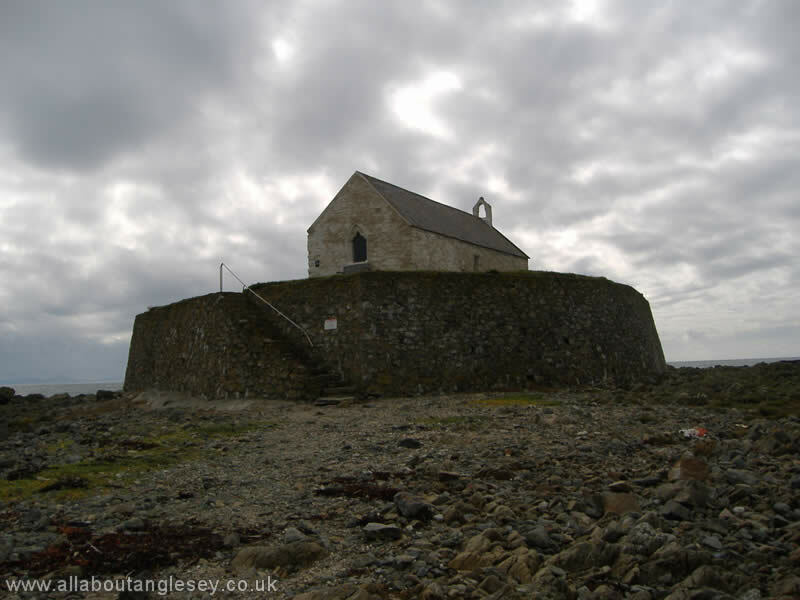 Thanks to coastal erosion, it is now known as the church in the sea. 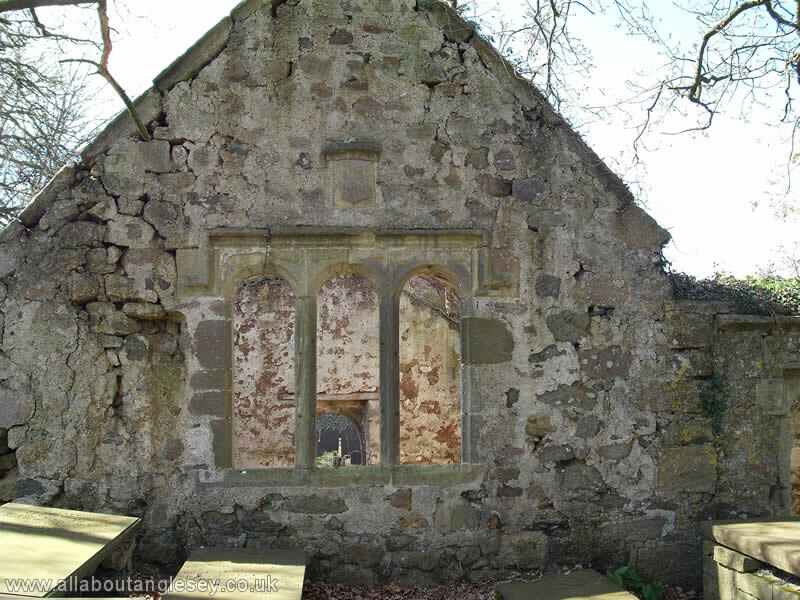 It was in an attempt to prevent further erosion, and also to protect the cemetery, that stone walling was constructed to protect the site. The church is dedicated to a saint known in Irish as Caoimhghin, or Kevin. The church was enlarged in the sixteenth century, when an aisle was constructed on its northern side, but by the 1800s, erosion resulted in this being removed. 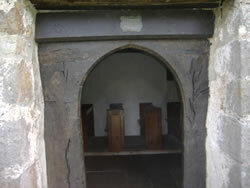 Evidence of the aisle's existence is visible in the arcade in the external wall. 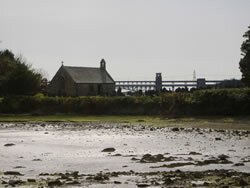 Church services are held here once or twice a year, with access over a causeway which is covered at high tide. 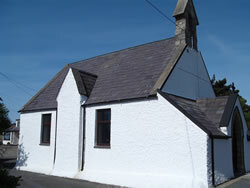 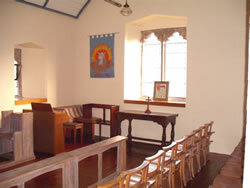 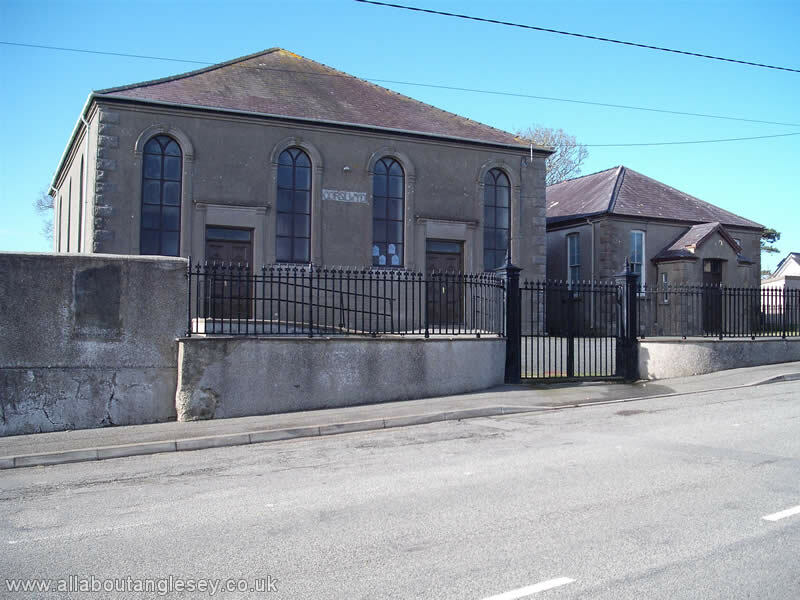 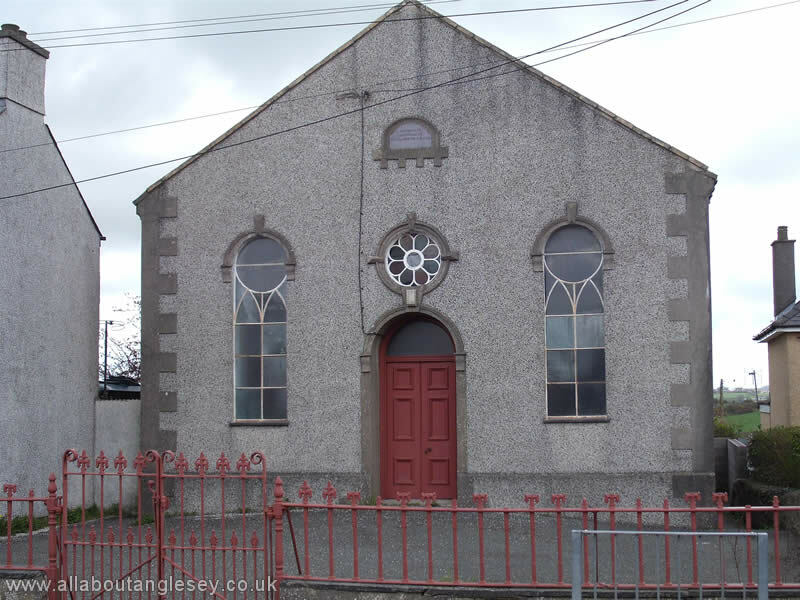 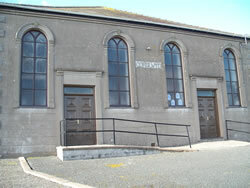 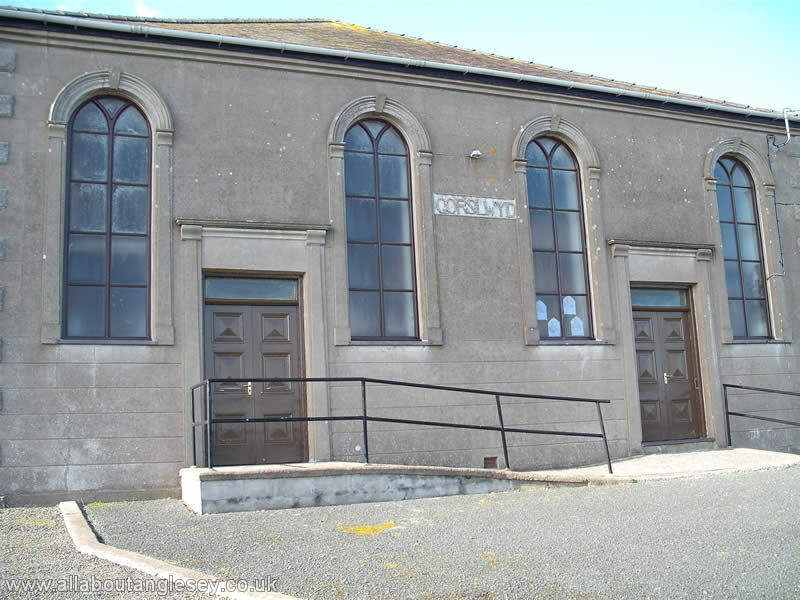 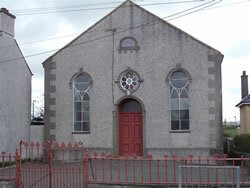 Dating from 1867, with the adjoining Sunday School a later addition in the early twentieth century.